Click Resources/Travel for lodging, stabling, and field hunter livery. Use the Search function to find listings at your destination. Huntsman Bart Poole and whipper-in Sam Andrews gave a presentation in the afternoon at the hunt stables in Peapack, after which questions were invited. After the presentation, participants mounted up, introduced their horses to hounds, and rode practice turns around the field. Fifteen participants then joined the Essex subscribers and local landowners for a roading exercise. The course which ended with refreshments was priced at $50.00 a person. 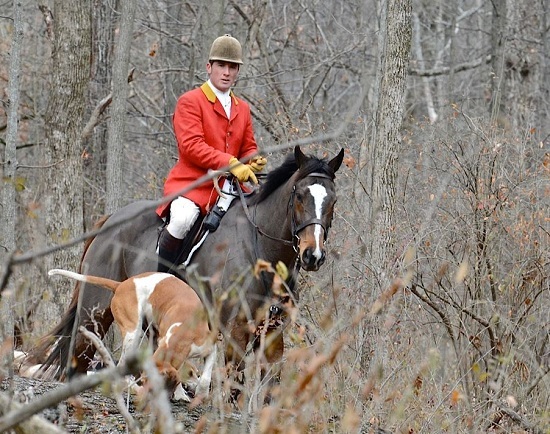 Karen L. Meyers photoIf the accusations are proven in court, the South Herefordshire Foxhounds, established in 1869, could be forced to dissolve—their hunting country redistributed to neighboring hunts. If the accusations are proven, a few misguided outlaws may have killed any chance of reversing Britain’s Hunting Act, certainly for the near future. If the accusations are proven, all foxhunting is tarnished. Video footage taken secretly by anti-hunting activists purports to show two live fox cubs placed into the kennels with foxhounds, later removed lifeless, the carcasses placed in a dumpster from which they were later recovered and photographed by the activists. If true, this wouldn’t even contravene the Hunting Act of 2004. It would be a breach of Britain’s Animal Welfare Act. It would also breach accepted hunting practices for the past century or more. All as a new Conservative-led government and the Countryside Alliance would like to convince the British populace that foxhunters can police themselves! 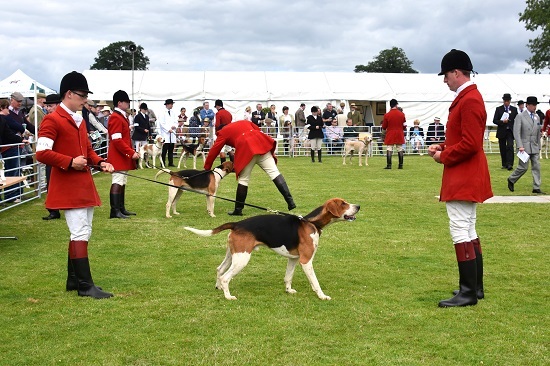 The Irish National Hound Show at Stradbally Hall, County Laois, Ireland keeps growing in both entries and spectators. This year the weather also played a positive role as hound enthusiasts were often three deep along the ringside, and a large number lingered and socialised long after the show was over. Competition was keen in the foxhound ring where judge Nigel Peel, a well-known hunting correspondent himself (and a member of Foxhunting Life’s Panel of Experts), commented that the Old English hounds were some of the finest he has judged either in Ireland or in the UK, and the Modern English Hounds had real quality as well. The Old English (or Traditionally-Bred) hounds and the Modern English hounds are judged separately in their own classes, but the winners of those classes come up against each other in the final championship classes for dogs and bi*ches. * On occasion the Old English hounds being bred today will prevail. Juniors love to go hunting, but for them isn’t it mostly about the rider and his or her horse? How about the hounds? Couldn’t we set the foxhunting hook deeper by connecting interested juniors with hounds as well? The Loudoun Fairfax Hunt (VA) is thinking about just that. They are hosting a Junior Hound Clinic this summer—a one-day affair, easy to put on. I’ve long been involved with hound programs for juniors and this is one idea that I hope appeals to other hunts. Here’s our 2017 Foxhunting Life Calendar, ready to ship on September 1 and featuring all new photos. We’ve been publishing our appointments calendar since 1998, and our annual collection of foxhunting images continues to represent the finest examples of the sporting photographer’s art. Douglas Lees shot the cover photograph of huntsman Reg Spreadborough flying a coop alongside his red ring-necked Orange County hounds—a fleeting glimpse of huntsman, horse, and hounds in motion for one single instant...gone the next. Represented in this year’s photo collection are hunts in California, England, Georgia, Maryland, Pennsylvania, South Carolina, and Virginia. 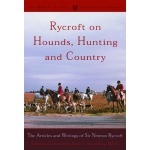 Images include horses and hounds in action, seductive scenes shot in the most beautiful hunting landscapes imaginable, and photographs that simply tell a story about foxhunting. As before, photos of the hound show grand champions that you read about in Foxhunting Life throughout the past hound show season are to be found inside the back cover. 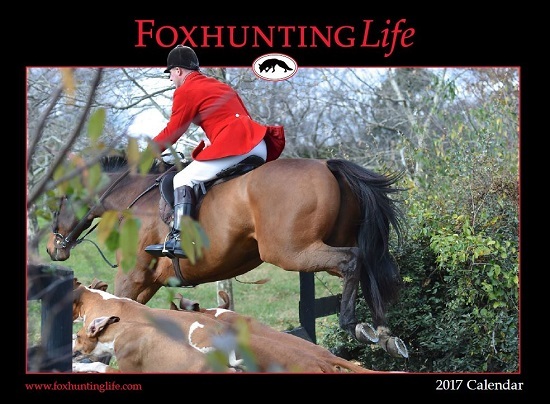 Foxhunting Life Calendars will keep track of your busy schedule while they brighten up your tack room and kitchen. And they make great gifts for your cocktail party hosts and for landowners in your hunting country. Be sure to login before ordering to receive your automatic subscriber's discount! Extracted and condensed from Memoirs of a Foxhunting Man, Part Seven, Chapter II. October arrived; the drought broke with forty-eight hours’ quiet rain; and Dixon had a field day with the new clipping machine, of which it is enough to say that the stable-boy turned a handle and Dixon did the rest. He had decided to clip the horses’ legs this season; the Ringwell was a bad country for thorns, and these were, naturally less likely to be overlooked on clipped legs, which also were more sightly and dried quicker than hairy ones. Resplendent in my new red coat, and almost too much admired by Aunt Evelyn and Miriam, I went off to the opening meet by the early train from Dumbridge to Downfield. Half an hour’s ride took me to the kennels, where I joined an impressive concourse, mounted, in vehicles, and on foot. The sun shone after a white frost, and everyone was anxious to have a look at the new Master. My new coat was only a single spot of color among many, but I felt a tremendous swell all the same. Familiar faces greeted me, and when we trotted away to draw Pacey’s Plantation, old Mr. Dearborn bumped along beside me in his faded red coat and blue and white spotted birds-eye cravat. “This horse ought to have one of you young chaps on his back!” he exclaimed. “Jumps too big for an old buffer like me; never known him to put a foot wrong, clever as a cat—(hold up, will you! )...his clever hunter having tripped badly on some stones. Huntsman Spencer Allen has gone through a rocky time in the past couple of years. He’s been forced to consider other options for his future, but he knows in his heart what he loves the most—working with and hunting foxhounds. And this is why he’s so happy to be in Monticello, Florida at Marty and Daphne Wood’s unparalleled establishment as huntsman for the Live Oak Hounds. After serving six years in the Marine Corps, including a tour in Iraq, Allen began as an amateur whipper-in at the Bull Run Hunt (VA). Two seasons later he turned professional and moved to the Piedmont Fox Hounds (VA), serving four seasons as first whipper-in to huntsman Richard Roberts. Allen found himself working with a talented and attractive whipper-in, Rachel Gray, who also happened to be the daughter of the previous huntsman, Butch Gray. Spencer and Rachel were married, and in 2010 Spencer was named huntsman at Piedmont. He hunted the Piedmont hounds for five seasons, showing excellent sport, but trouble followed. Memoirs of a Foxhunting Man, Siegfried Sassoon, 1928, Penguin Classics, paper, available at Amazon and bookstoresEarly July exactly one hundred years ago, British, French, and German troops engaged in battle near the River Somme that left a million men dead or wounded on the fields in just four months of butchery. Known to history as the Battle of the Somme, it was arguably the bloodiest in all of human history. All for a gain of just six miles into enemy-occupied territory. Author and poet Siegfried Sassoon was at the Somme. 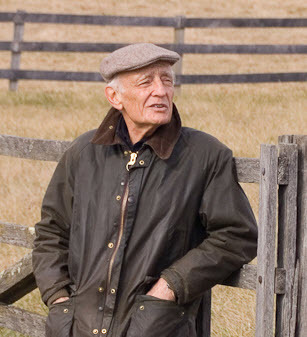 His lovingly-written classic, Memoirs of a Foxhunting Man, ends with his wartime service, his loss of dear friends, and the beginnings of his ruminations on the madness of war. For just the foxhunting content, the book is a classic to be recommended to any literate foxhunter. But Sassoon wrote a sequel, Memoirs of an Infantry Officer, which is the most moving anti-war book this reporter has ever read.